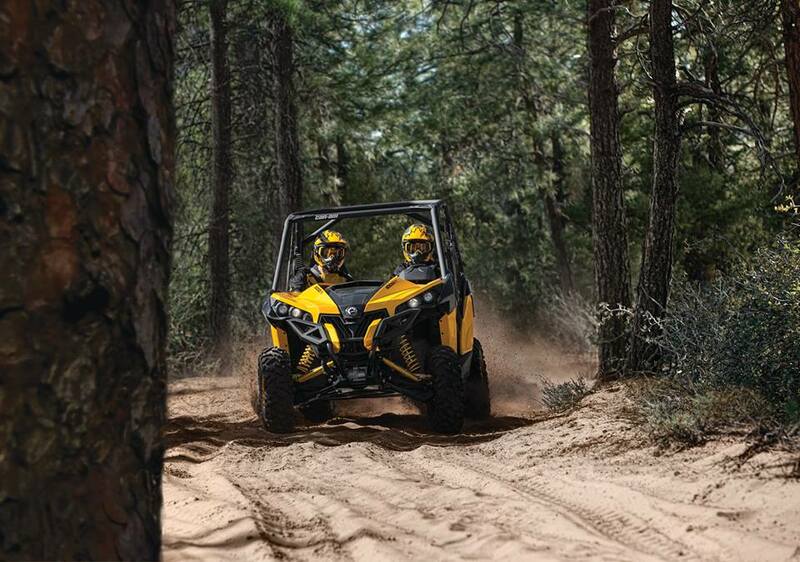 Can-Am recently announced their 2014 models. So far, the focus for 2014 seems to be the Side-X-Side line as no changes for the 2013 Can-Am ATVs have been released (check out the 2013 details here). What Can-Am did add this year are 5 new Side-X-Side models, perfecting and diversifying the Maverick and Commander package. The trail-ready 2014 Can-Am Maverick X xc DPS. Photo courtesy of BRP. Perhaps the biggest news is the smallest model. 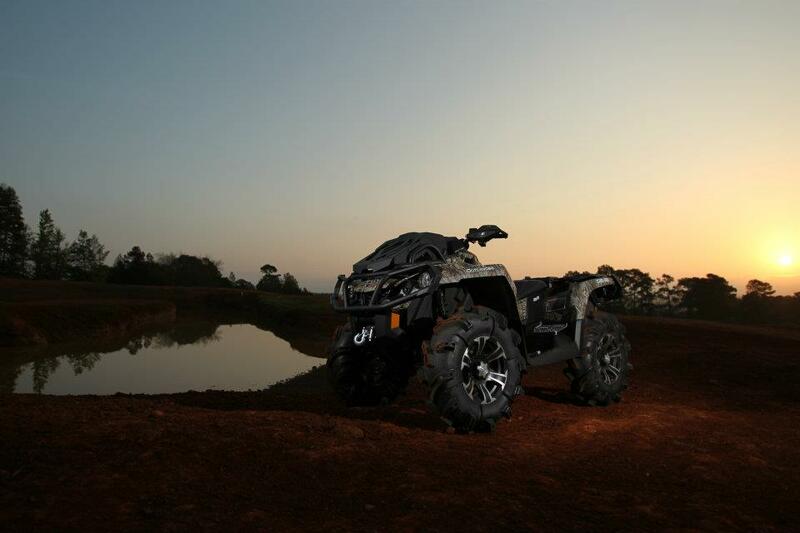 The 2014 Can-Am Side-X-Side lineup includes the new Maverick X xc DPS. A narrowed-down version of the Maverick, this 60-inch wide creature lets you take the Maverick to the trails, a blessing for east coast riders. 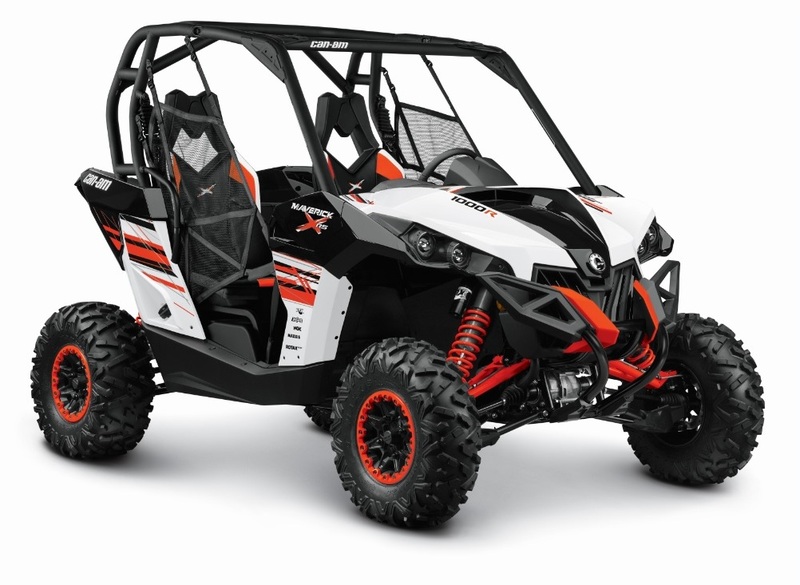 The Maverick X xc DPS includes Can-Am’s Tri-Mode Dynamic Power Steering (DPS), Visco-Lok QE auto-locking front differential and 12-inch aluminum beadlock wheels. The ride is softened by FOX PODIUM X Performance 2.0 HPG Piggyback shocks. All of this for an MSRP of $18,299 in your choice of the traditional yellow/black or a new white/red/black scheme. The 2014 Can-Am Maverick X xc DPS. Photo courtesy of BRP. Also new to the Maverick line is the Maverick X rs DPS. 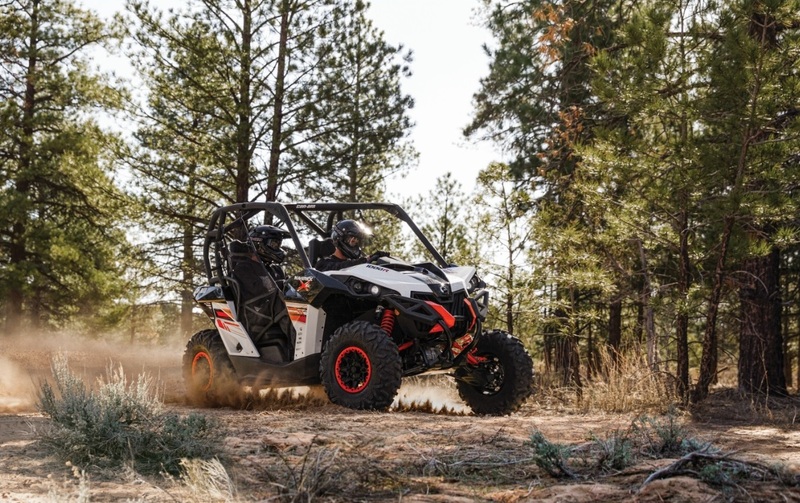 Based on the current Maverick X rs, it adds the Can-Am Tri-Mode Dynamic Power Steering (DPS) and Visco-Lok QE auto-locking front differential. It too can be had in yellow/black or white/red/black for an MSRP of $18,799. The 2014 Can-Am Maverick X rs DPS. Photo courtesy of BRP. 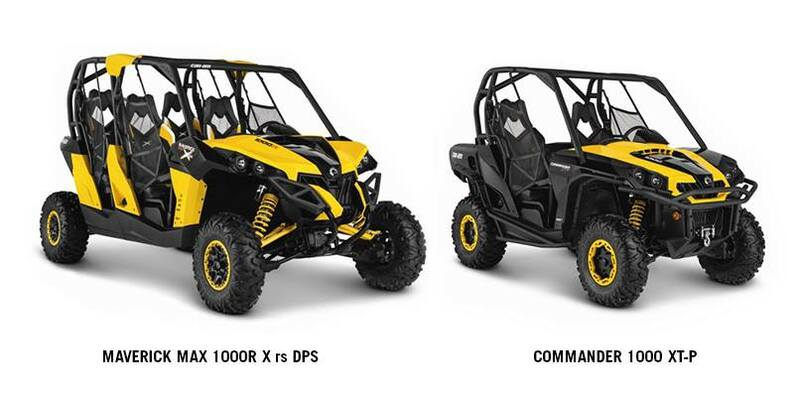 Can-Am added 4 seats of family fun to the Maverick with the Maverick MAX and Maverick MAX X rs DPS. The MAX is a stretched version of the Maverick and is already available at dealers. 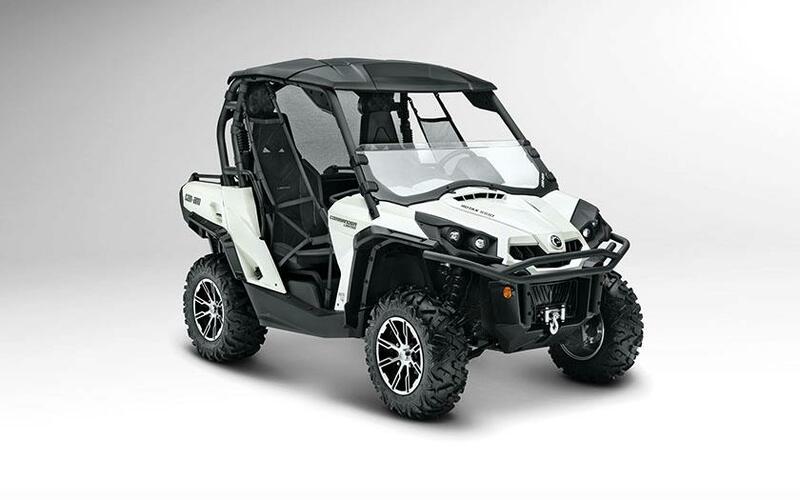 The Maverick MAX provides the most passenger room of any Side-X-Side on the market. Powered by the same 101-hp Rotax V-Twin engine as the 2 seat Maverick, the MAX centralizes the engine to provide balance on the longer wheelbase. MSRP on the Maverick MAX is $18,299. The Maverick MAX X rs DPS is the family sized version of the new Maverick X xc DPS getting the same Dynamic Power Steering and the auto-locking front differential treatment. With it you’ll also get upgraded to FOX PODIUM X Performance RC2.5 HPG Piggyback shocks and a price tag of $20,799. Can-Am didn’t forget about the Commander either. The Commander XT-P adds to the XT package with mudguards, a heavy duty front bumper, Tri-Mode Dynamic Power Steering (DPS), Visco-Lok QE auto-locking front differential, FOX PODIUM X Performance RC2.0 HPG Piggyback shocks and a 4,000-lb WARN winch. This trail beast starts at $17,299. UPDATE: Check out the newly released 2014 Can-Am Maverick X mr here. For more information on these and the full line of Can-Am off-road vehicles check out http://www.canamoffroad.com/. All new 2013 Can-Am Outlander X mr 1000. Photo Courtesy of BRP. To the anticipation of many, BRP has released details and pictures of the exciting 2013 lineup. At about 4:10 pm Central time press releases detailing the 2013 ATV and Side-by-Side lines were received via email. 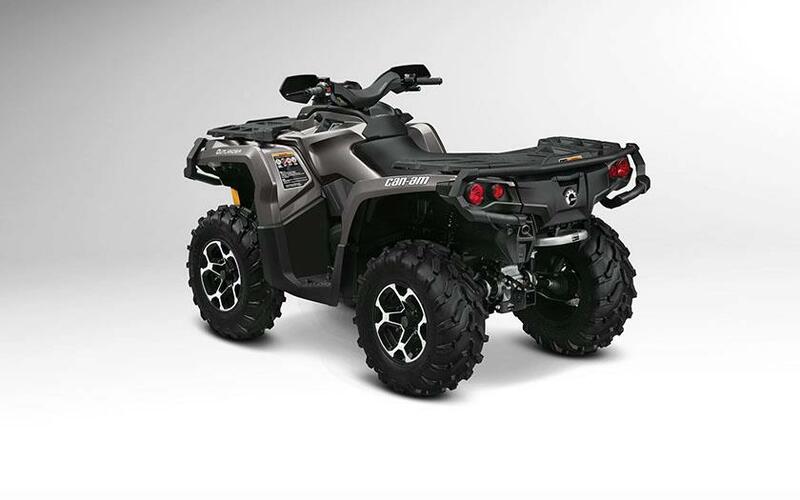 Can-Am also posted pictures of the new 2013 Outlander X mr 1000 and other 2013 models on their Facebook page and videos on their YouTube channel. Other big news with the release is the production of 15% more horsepower Can-Am squeezed out of the Rotax 500 engines. This places the class leading engine even further out of the reach of competitors. 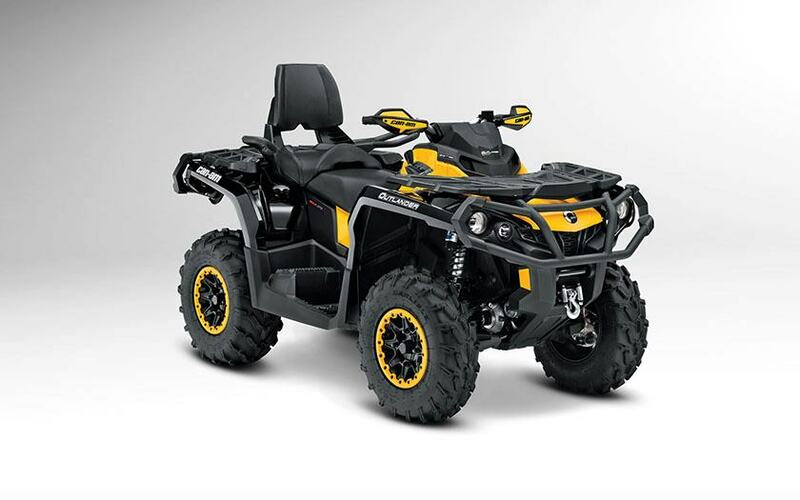 2013 Can-Am Outlander MAX. Photo courtesy of BRP. Highlights for 2013 include the next-generation Outlander MAX family now featuring a second generation Surrounding Spar Technology frame (SST G2). The passenger seat has also been totally redesigned. The Outlander MAX LIMITED is now available in a Pearl White paint. The aforementioned all-new Outlander X mr 1000 is built on the same new MAX frame. In additional to the traditional Can-Am yellow and black finish the Outlander X mr 1000 is available in an all-new NEXT G-1 Vista camouflage finish. It also benefits from a larger relocated radiator, ITP wheels, restyled dash panel and a rider-adjustable air controlled suspension. The Outlander X mr 1000 is THE mud machine. 2013 Can-Am Outlander XT. Photo courtesy of BRP. Most of the other Outlander models will see the new SST frame for 2013. 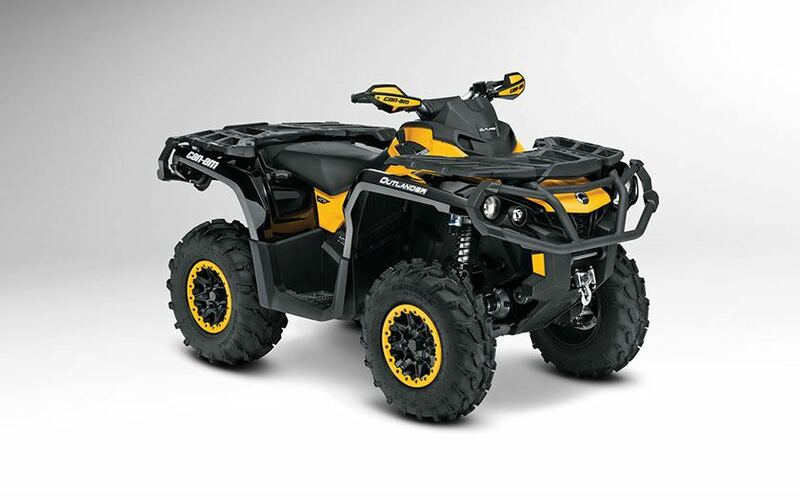 Can-Am also has Dynamic Power Steering (DPS) packages available (or standard) for all 500 cc+ models. XT-P packages are now available for the Outlander 800R, 1000 and MAX packages. The sport inspired package adds the new dash, full FOX suspension system, 12-inch aluminum beadlock wheels, exclusive colors and more. The DS450 and Renegade also return but with few changes as of press time. 2013 Can-Am Outlander XT-P. Photo courtesy of BRP. Can-Am also provided the new DPS package to the Commander Side-by-Side lineup. The DPS package for the Commander includes 27 Maxxis Bighorn 2.0 rubber on 14-inch cast aluminum. The XT and Limited packages include a 4,000 pound WARN winch, half-windshield, premium wheels and an entertainment system with integrated Garmin touchscreen GPS. A couple of new color schemes are also available for 2013. The killer Can-Am Commander setup just keeps getting better. 2013 Can-Am Commander. Photo courtesy of BRP. Stay tuned for more details as Can-Am releases them or visit the Can-Am Offroad site at http://www.canamoffroad.com/. 2013 Can-Am Outlander 650 X mr. Photo coutesy of BRP. 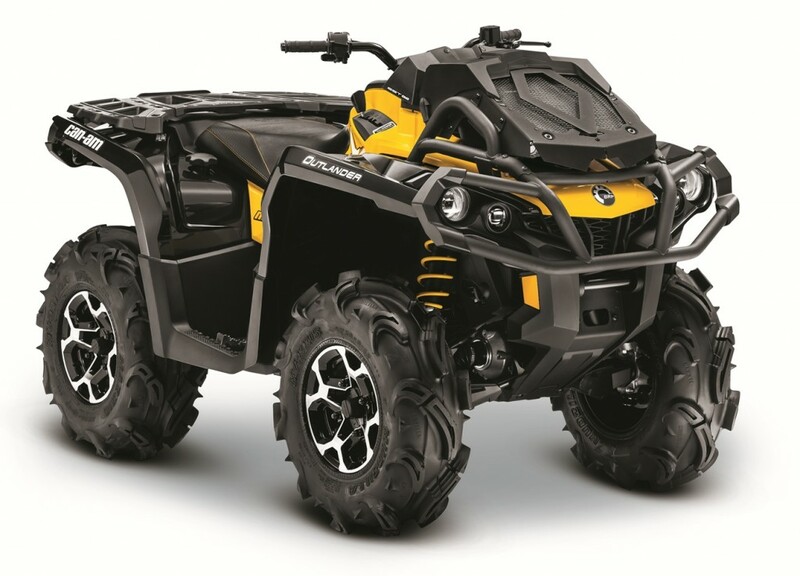 Can-Am continues the releases with the announcement of the 2013 Can-Am Outlander 650 X mr. A slightly more compact version of the Outlander 1000 X mr, the 650 is not compact on features. Rocketed by a 62 HP Rotax V-Twin engine it’s ready for your challenges. Like the 1000, it features a larger, relocated radiator as well as nearly snorkled CVT intake, CVT exhaust and engine air intake. It also features the SST G2 frame, Tri-Mode DPS, Visco-Lok QE, preload-adjustable mud shocks and aluminum foot-pegs. 28 inch Maxxis Mudzilla tires on 12 inch cast aluminum wheels will keep you rolling in any terrain. MSRP has not yet been released for the Outlander 650 X mr.